Research now shows that if you are in a particular BMI (Body Mass Index) that 97% of fitness and healthy eating programs are going to fail in as short as a 1-5yrs after weight loss. Meaning the person will bounce back to their pre-diet weight or even be heavier than before. Today’s show is about how to break the cycle of continual failure with dieting and how to set up a permanent weight loss solution with those who struggle. 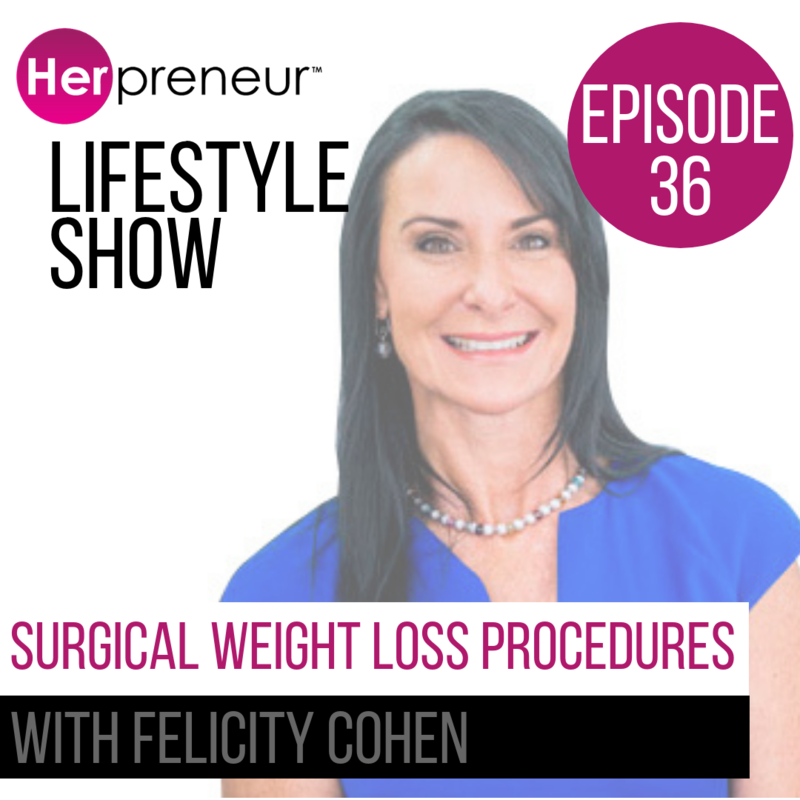 She even takes a deep dive into explaining how there are very exciting procedures that are non permanent and no invasion to the tradition permeant types of procedures. Felicity also shares how there are different procedures based on your BMI for example what is best for the person who wants to lose only 10-20kg, in comparison to 30-40kg and then those who want to lose 50+. Plus the specific surgical procedures that benefit those who have a multitude of medical conditions (such as sleep apnea, type 2 diabetes, are candidates for heart attacks or strokes). For weight loss, many doctors try to push Duromine as a drug for weight loss. Besides this being just a band-aid solution it also creates a horrible addictions as it’s a drug like the street name ‘speed’. Also known to corrode the inside of your body and is shocking for your liver. Though sadly many think just because the doctor has given it to you, you think it’s okay? Couldn’t be further from the truth! ….It needs to band. The different types of procedures available based on your goals and needs. Most common fears and reservations candidates have when it comes to surgical procedures. 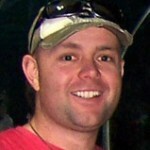 Success stories of past patients. How continually trying that next diet, time and time again is killing your self esteem. Felicity shares how she has witnessed many couples who have been trying to conceive a child and finally do after the chosen weight loss solutions. 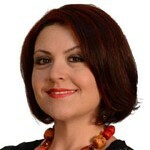 Originally from Melbourne, Felicity is an experienced practice manager with a culturally rich background. She gained qualifications in Media Studies and Journalism from RMIT University in Melbourne and devoted her formative working years to media work in broadcast journalism, newspaper publications, writing, and sales and marketing. Felicity moved to Paris, France where she studied post graduate language and literature at the prestigious Sorbonne University. 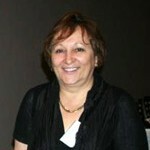 Her passion to learn French served her well and she finds the skill a great asset in assisting patients from New Caledonia and other French speaking countries. Felicity has always led a healthy and active lifestyle and her commitment to helping others with their weight problems started when she returned to Australia more than 10 years ago. She has in fact just celebrated her 10th anniversary with WeightLoss Solutions Australia’s surgical practice; and, she values the rich and rewarding experience she has had as practice manager over these years. 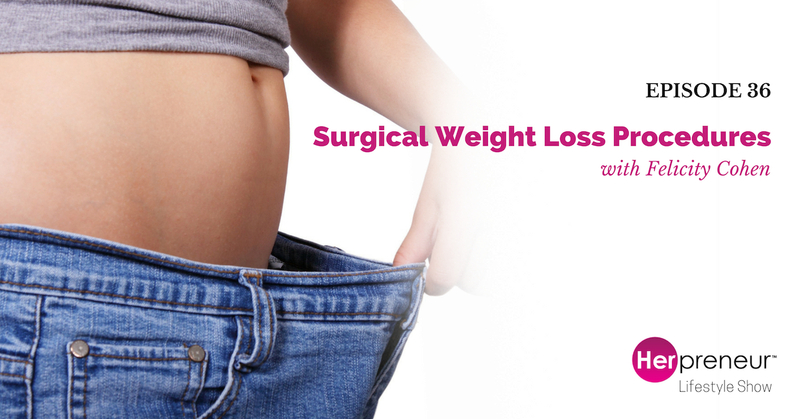 She continues to exceed professional expectation in developing educational programs and resources at WeightLoss Solutions Australia and has been an integral part of the clinic’s success over the last decade. She loves nothing more than witnessing the transition people make to leading happier and more fulfilling lives as a result of achieving sustained weight loss through surgery and healthy lifestyles. She constantly strives for improvement in the area of bariatric services and considers her work environment inspirational and motivating. She takes personal pride in assisting patients with their goals to compete in the Noosa Triathlon every year and feels this event is an experience to remember for many patients who have a new lease on life following weight loss surgery. One of her fondest memories is of a young girl who attended one of our information nights in 2004, with her distraught and concerned parents, who went on to lose over 100 kg* and changed her quality of life for the better forever. If you have any questions or concerns regarding the practice or it services, Felicity is the person to talk to. She’s friendly, caring, and more than happy to assist patients of all weights and backgrounds. Today’s interview we are joined by Joanna Sochan, the founder of Naturimedica. 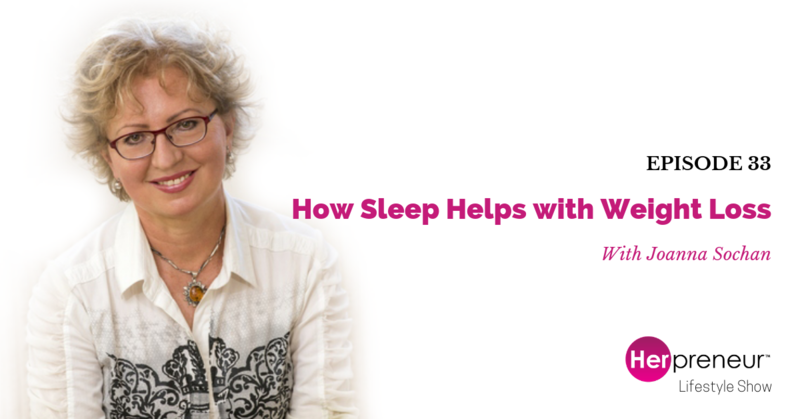 Joanna shares with you, the exact step-by-step strategies in helping you go from a poor night sleep to sleeping deep like a baby. Joanna has a passionate belief in the butterfly effect – that small changes do matter and can have far-reaching effects. Individuals empowered to make positive changes on a personal level can lead to healthier families, communities and, in time, a healthier planet. 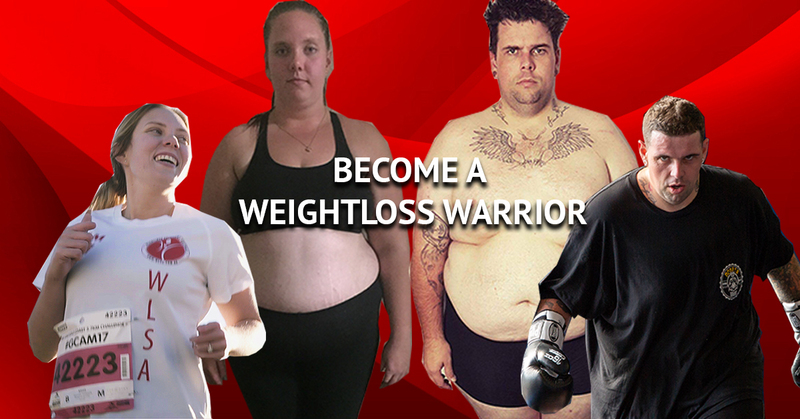 Imagine increasing your fat intake and actually rapidly lose unwanted kilos! Today we interview fat cell researcher Dr. Lori Shemek. This interview is content rich!!! Dr. Lori doesn’t hold back on all things health and fat loss. Her passion is helping you improve your weight and happiness levels from the inside and out. …even worse creating a sugar addiction! Learn about the metabolic effect that food has on you. Dr. Lori also shares, why you really ‘feel better’ when you lose body fat. We also dive in deep today about cooking oils, the ones to embrace and the ones to ditch. The negative energy that fat cells send off to your whole body. 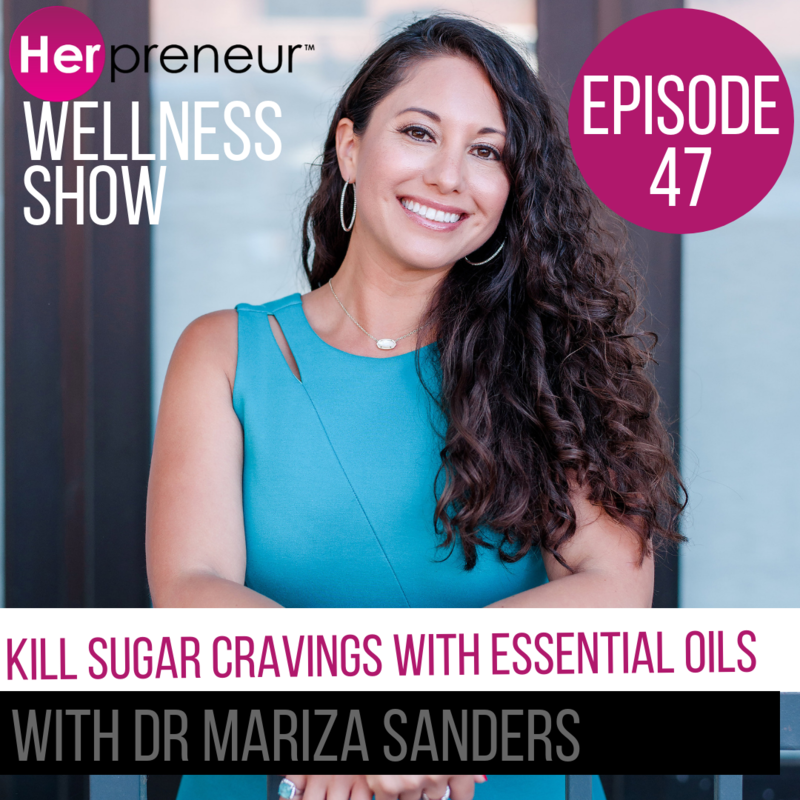 What oils create arachidonic acid and what oils to swap them for. The number one food you need to avoid in LIFE. Why some of your healthy choices are not helping you lose weight and creating a sugar addiction. Why fruit juice detox are making you fat and bad for your liver. What Polyphenols food are and how they fights fat cells. Who is Dr. Lori Shemek? Dr. Lori Shemek is a leading fat cell researcher and recognized authority on inflammation and its role in weight loss, preventing disease and optimizing health. 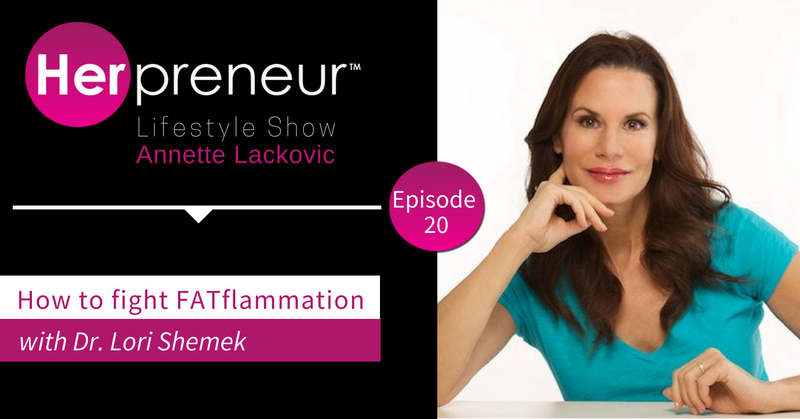 Dr. Shemek is the author of ‘How To Fight FATflammation!’ and the best-selling author of ‘Fire-Up Your Fat Burn!’. She is a leading health and weight loss expert and also known as “The Inflammation Terminator”. She has made it her mission to help clients lose weight and educate the public on the toxic effects of certain foods and lifestyle choices and how they create inflammation in the body resulting in weight gain. She is a leading authority on inflammation and its role in weight loss, preventing disease and optimizing health. The Huffington Post has recognized Dr. Shemek twice as one of the Top 16 Health and Fitness Experts alongside such names as Dr. Oz and the Huffington Post has also recognized her as one of the Top 35 Diet and Nutrition Experts. Dr. Lori Shemek, is a regular health contributor to Fox News, a health expert for the ABC TV show Good Morning Texas. Dr. Shemek has been featured on CNN and Fox News, and in Dr. Oz’s Best Life Magazine, Health, Shape, Woman’s Day, Redbook, Ladies Home Journal, and numerous others. This entry was posted in Blog, Herpreneur Lifestyle Show and tagged detox, fatflammation, inflammation, Polyphenols, shrinks body fat, sugar addiction, Top 16 Health and Fitness Experts, Top 35 Diet and Nutrition Experts, weight loss on June 10, 2018 by Admin. The stress of eating on what seems to some a highly restrictive diet, had the girls worry if they ever got caught with a sushi roll. 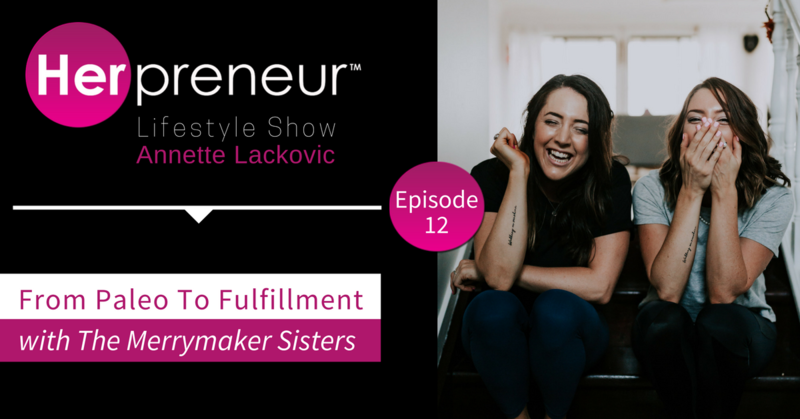 Today Emma and Carla, the Merrymaker sisters, share how they built their following and share insightful tips on living a more fulfilled life while growing your business. How they changed the angle of their business that they built their reputation on. How and why evolving is key to your success and why you need to do it in your business. It’s not just about food…it’s about having more joy in your life. The importance of sharing your truth, how it not only affects your brand and your health. The importance of detaching from the outcome of your goals. Allowing space for the magic ideas. Get the Get Merry App! Download The Merrymaker Sisters’ Gift Here! Download The Free Meal Plan Here! 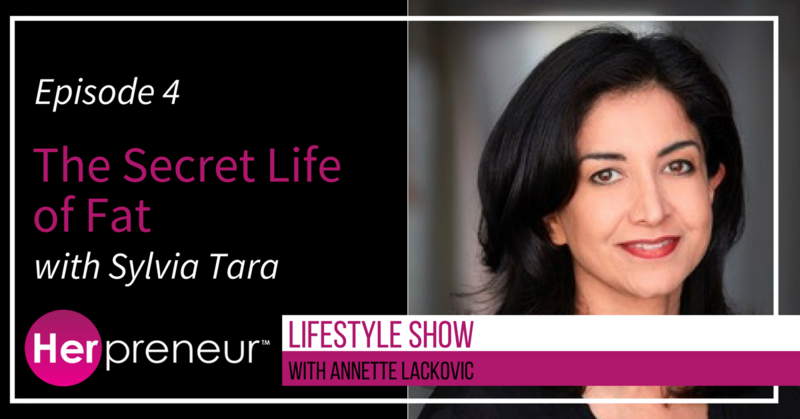 This entry was posted in Blog, Herpreneur Lifestyle Show and tagged annette Lackovic, Female entrepreneur, Holistic living, merrymaker sister, organic, paleo, weight loss, Women Entrepreneur, Women in Business, Womens Health on March 29, 2018 by Admin. Sylvia Tara was driven to research fat, science, and lifestyle when she finally got “fed up” with eating far less and exercising much more than her slimmer friends — from childhood through child-rearing. Surely there was more to it than counting calories, and Sylvia was determined to find out. In her best-selling book, The Secret Life of Fat, she reveals the complex biology of fat and what it means for each of us. Sylvia holds a PhD in Biochemistry from the University of California at San Diego and an MBA from the Wharton School of the University of Pennsylvania. She was a consultant with McKinsey & Company and has worked at the world’s largest biotechnology companies. Sylvia shares her two biggest weight loss hacks. Education on how to remove stubborn fat. The critical mindset you need to lose weight. How to maintain your weight after you have lost it…and not be a static of putting it all back on and more! This entry was posted in Blog, Herpreneur Lifestyle Show and tagged fat loss, Sylvia Tara, The secret Life Of Fat, weight loss, Women Entrepreneur, Women in Business on February 12, 2018 by Admin.